Negative Thoughts, Negative Emotions…You can change in an instant. Are you ready?? Addiction, depression, relationship, self-esteem, midlife crisis issues? We offer excellent counselling and coaching services. Click here for more info. Welcome! MindfulYou.com is an exciting new venture focused on harmony of mind, body and spirit–and it all begins with YOU. Please check out our services page for information on counselling, booking a speaker, workshops or consultation, for yourself and/or your organization. Please visit mindfulblog for a selection of updates and articles. *Mindfulness is the practice whereby a person is intentionally aware of his or her thoughts and actions in the present moment, non-judgmentally. Mindfulness is applied to both bodily actions and the mind’s own thoughts and feelings. 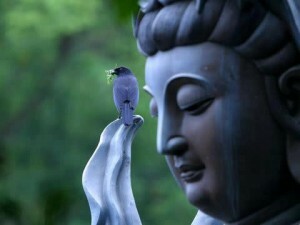 In Buddhism, the second kind of mindfulness is considered a prerequisite for developing insight and wisdom. (*From Wikipedia, the free encyclopedia).